"Ramnit" the worm with multifaceted spreading capabilities,first detected on 2010 for infecting local systems. Now the hackers behind it have redesigned it into a more advanced kind of worm.The worm has already stolen 45000 facebook credentials and still on move. It is also confirmed that this worm is able to bypass the two level authentication used by banking organizations and online money transfer.Below I have taken the snapshot of the code of the worm that was detected in 2010. It comes from online malicious sources and creates infected .html files through that it infects the executable and .dll files. As,depicted in the video below. 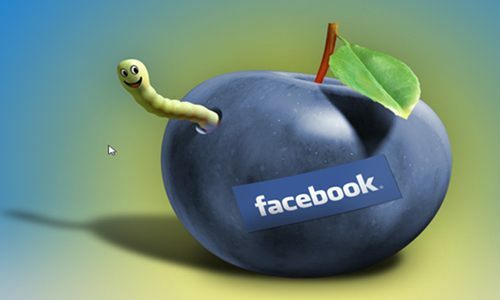 But as the worm has spread its root to financial and social media so it a big concern.Users are advised to change there credentials in every 14 days. As you said it is always better to change the credentials for every 2 weeks.. rather than this it is better to install and run a good antivirus program in your computer, which helps and ensures the security..
@Jai Yes the anti-virus option cannot be omitted....but there are few techniques using which your keystrokes can be stolen as most of the anti-virus can be bypassed. But still then you cannot ensure 100% security. Thanks for posting this useful post. Care should be taken always. I don't really know how anyone can live without an anti-virus. I have had a time when I also didn't have an antivirus, but back then viruses were harder to catch and I was behind a firewall. Today I can't even think about using my computer without one. Also, the idea about changing the password is also very good..I change mine every month or so and things are fine for the moment. We really can't avoid this kind of infection to our accounts so it's better to be more aware of the latest threat and changing password is the easiest way to avoid them. Thanks for the information. It's nice to know Ramnit. I dont understand, why is Facebook asking users to change their credentials after every 14 days? Why they aren't doing anything to close the whole that they have in the facebook? I dont know why such a big company can have such a problem. @Randy Lewis, so far as my knowledge facebook is on right place, because many people hacking account right now. hope that you got my point. facebook is doing right thing as per we are thinking. because now a day many people hacking account. so must be security. Facebook is getting concerned about security and spams. This post is really very useful and informative. Today such attacks are spreading widely. For this we have to prevent proper security measures. I change my password in every 15 days to get safe from such attacks. Indeed, A really nicely drafted post with useful content. Thank you and keep it up! Nice post buddy Facebook is useful for communication and sharing. please beware guys with this worm. very good content on this site. i agree with n.kishor many people hack into facebook accounts and security is high priority on sites like that. This will be trouble for facebook. hope it is not happened to facebook. your site is very usefull for users. Great post.i enjoyed learning about this topic.